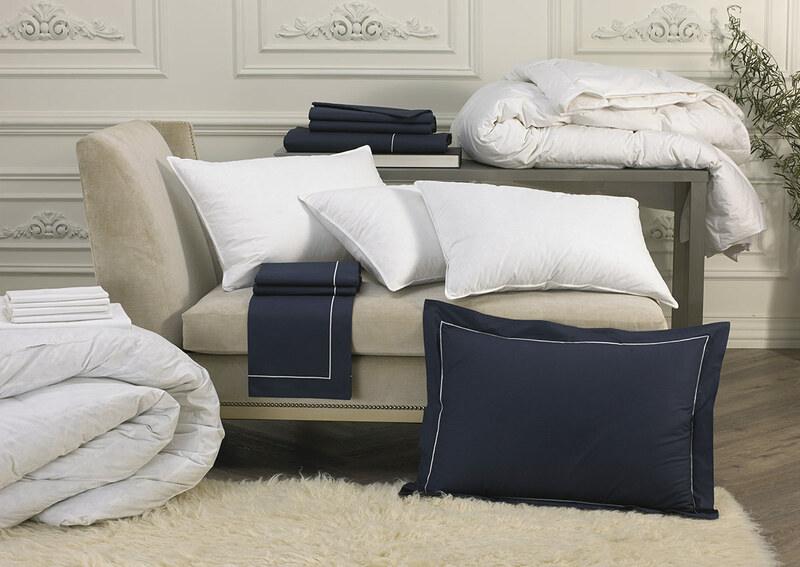 For truly decadent sleep, style your bed in lush sateen linens crafted from 600-thread-count cotton in a rich sapphire-blue. 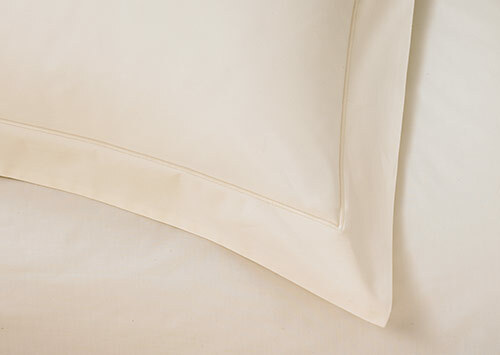 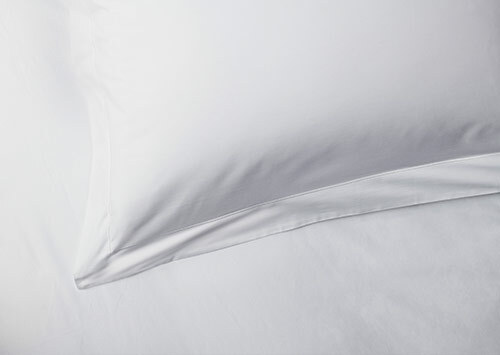 Sateen is adored for its silk-like feel and lustrous look, which adds a regal feel to your bedroom and sumptuous comfort to sleep. 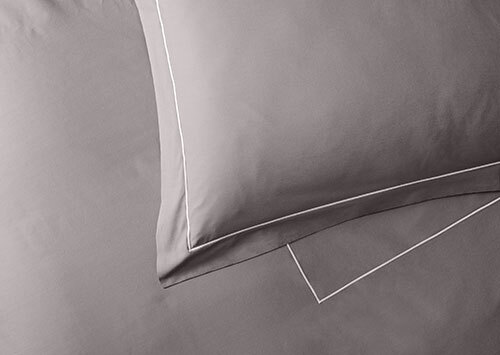 This bedding set features every lush layer you’d find in a Sofitel suite: a down featherbed and duvet, four plush feather & down pillows and a complete set of sateen linens with a matching duvet cover and four pillow shams, which feature a light-grey embroidered border trim.